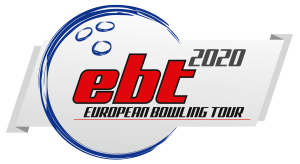 At a recently held meeting in the ETBF Presidium the rules for the EBT 2020 was decided. The rules are, with one exception, identical with the rules of the EBT 2019. The ETBF Presidium has with a growing concern witnessed a negative influence from PBA on certain stops in the European Bowling Tour. First of all PBA is requiring that ambitious organizers in Europe cannot keep a mandatory handicap for women and at the same time be able to award a PBA title to their winner. This is unfortunately damaging for the EBT, since it forces a few organizers to decide direction. Lately PBA decided to conduct a part of their World Series in the period of one of the biggest tournaments in Europe, the Brunswick Euro Challenge, which has been conducted in their March period over the last 14 years in three different European countries. This is a very unfortunate and potentially damaging decision, first of all for the organizer in Munich, but indeed also for many athletes and for the EBT in general. The ETBF Presidium has therefore; based on these incidents, decided that PBA and ETBF cannot operate in the same tour. As a consequence, an EBT Tournaments cannot, as of 2020, be included in any series organized by PBA or award a PBA title to their winner. This new rule is for tournaments only. For the athletes, the situation is unchanged, since they continuously and with no limitations can compete in any tournament included in the EBT.